The Gatehouse has a glorious space for private hire, with all the facilities to host a wide array of events. Whether you are looking to organise a birthday celebration, wedding reception, drinks & canapé party or just a get-together with friends and family, our dedicated team are at the helm to ensure you’re well accommodated. 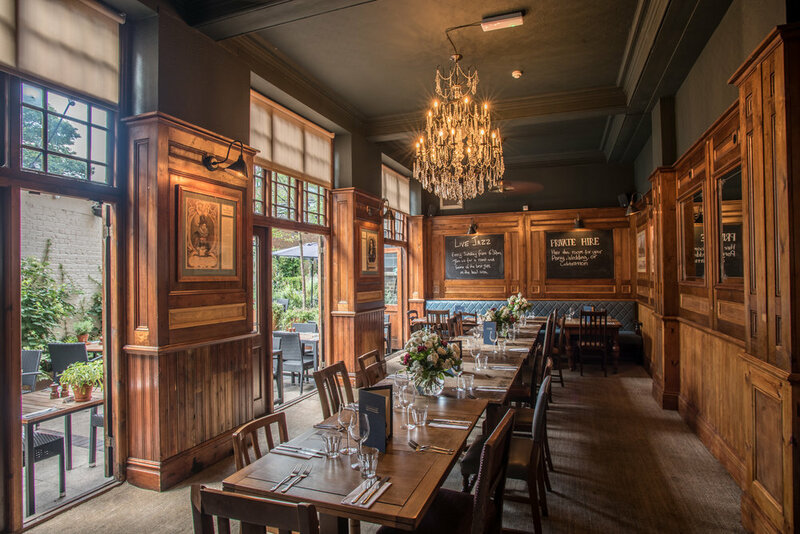 With its high ceilings, wood panelled interior and doors on to the garden, our decadent dining room is a truly memorable space, perfect for parties and wedding receptions. The dining room can accommodate up to 60 people.